Discussion in 'iPhone and iPad Games' started by spacebulldog, Jan 29, 2019. 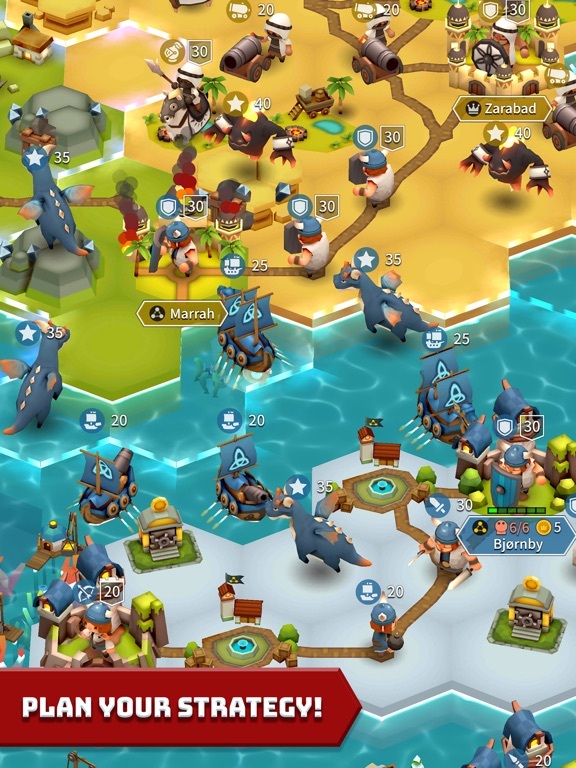 If you liked Civilization on PC, you might like Hexonia on mobile. 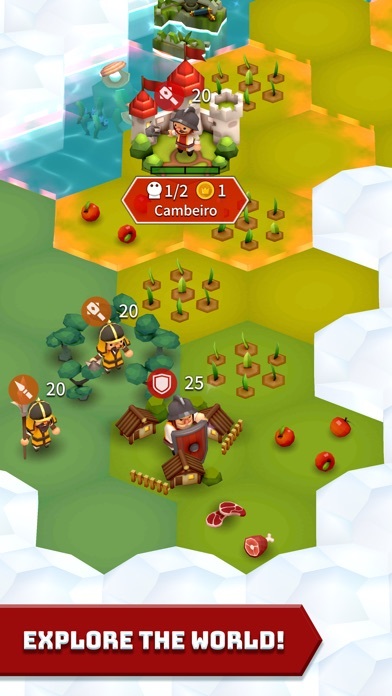 It's turn-based strategy game just released today in App Store and Goole Play. We are the fans of old school strategy/simulation games based on the different cultures over the world, and that's how we started to make Hexonia. Please check out the link to the stores below if you're like us. Oh, one important comment: We're a very small team so any feedback or opinion would be invaluable to the game and the team. Free free to contact us or leave a comment about anything. Downloaded it. Looks like a great game to pick up. 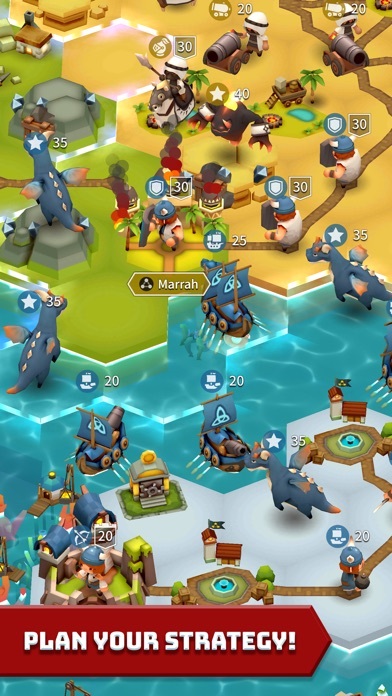 You have one tribe and two that can be unlocked through gameplay. Looks fun and it seems that it doesn’t need internet connection to be played. Thank you for this game! Will get back with my impressions soon. Yes. We've intended to let you play the game lightly. No internet connection and no deep thinking for buying any kinds of stuff. While playing the game, if you have any question or suggestion, we'd love to hear from you. Man, this game is brilliant. 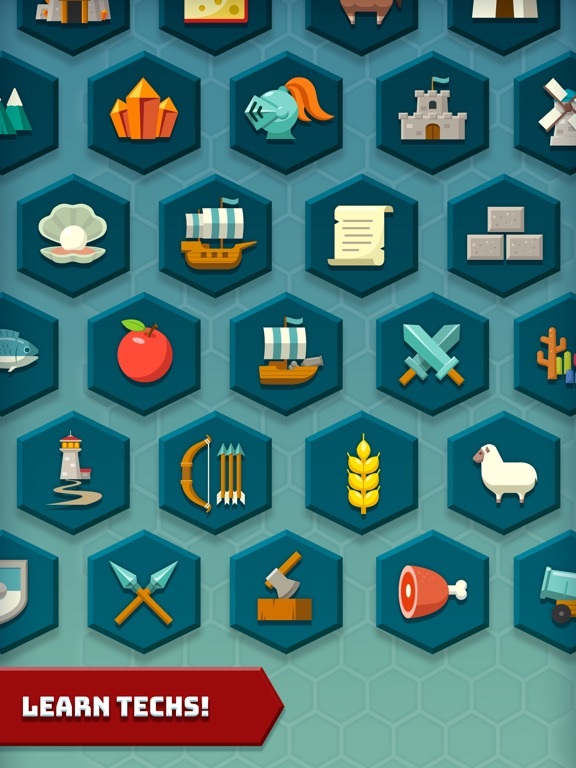 Reminds me a ton of Polytopia but I like the skill trees in this so far. Couple of questions, is there any multiplayer? 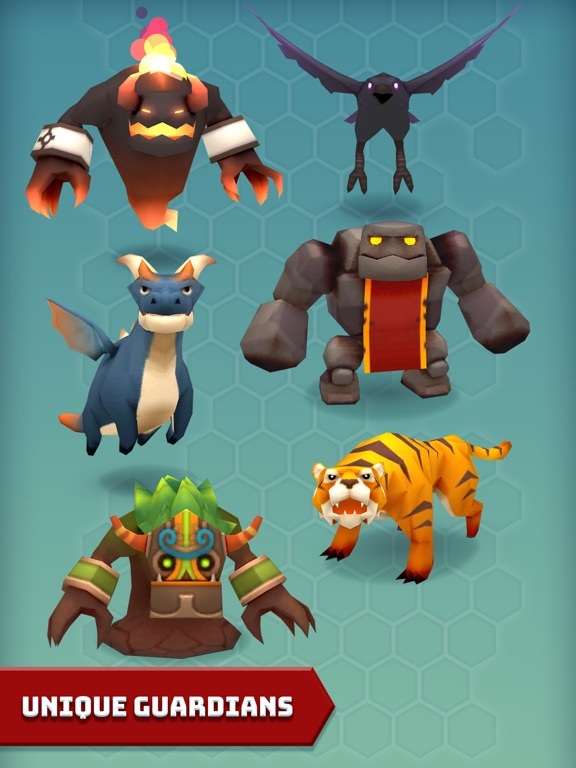 And aside from the extra tribes, any other IAPs? Polished and fun. 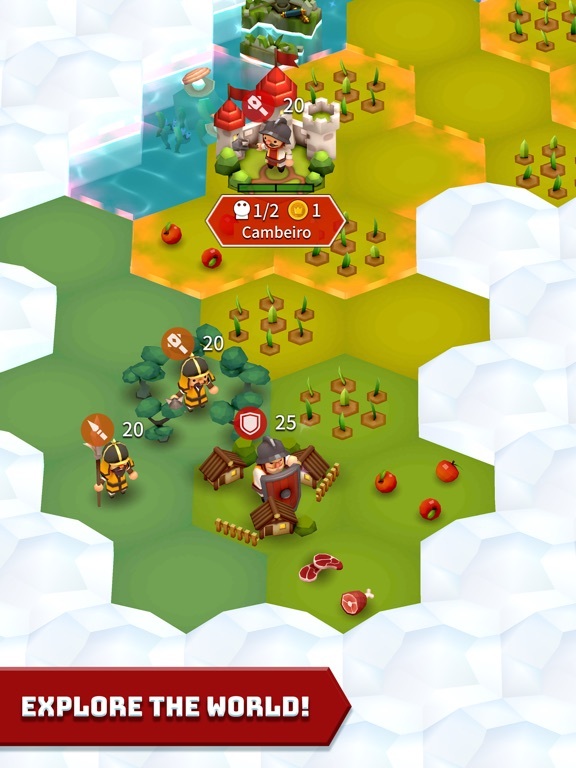 Like Polytopia the strategy is pretty limited. Having played lots of Polytopia this feels like the exact same game. I can’t really find anything that makes it different other than the art style. I’d almost go so far as to say it’s just a reskin. 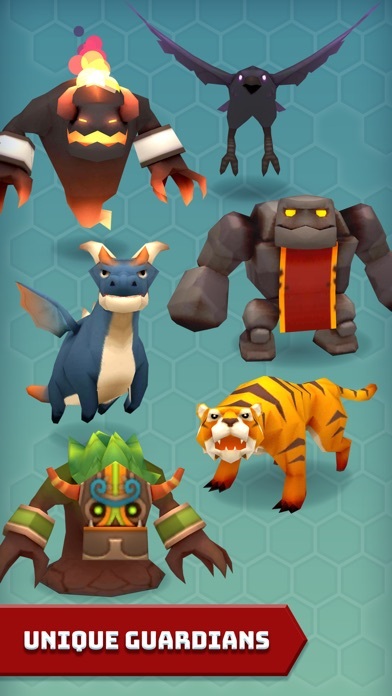 If you loved Polytopia you’ll love this, though I wish they had added something more... transformitive to this kind of game. But it’s just more of the same. Should also mention I couldn’t find any multiplayer and the IAP is just for three extra tribes. 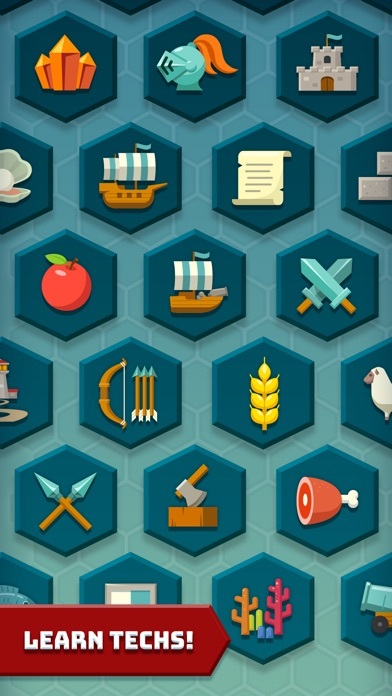 You start with one, and there’s two unlockable through gameplay, for a total of 6 Civs if you purchase the three IAP. So as far as monetization it’s done very well and fairly. Really like the art style of this. Since I’m not a fan of the Polytopia art. Since I loved Polytopia this seems really good also. Only wish this had multiplayer that seems to be absent for now. Question for the dev: any chance of adding multiplayer in the future? Really hope so. Of course, we've planned to add multiplayer but for now, we more focus on the contents. When we confirm to have a multiplayer with fixed schedule, I'll let you know here in the forum for sure. For IAP, man.. we're so old school. 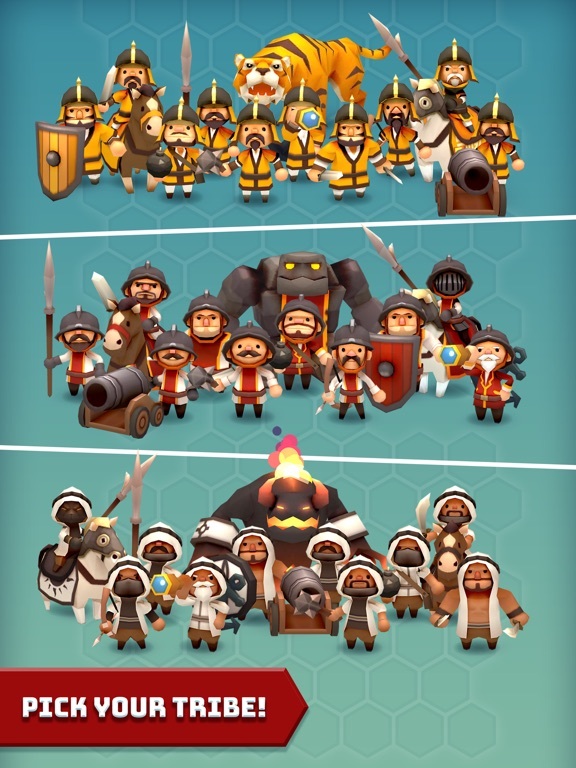 For now we don't have any plan besides to add more tribes. If you have a cool idea for a purchasable item or anything, feel free to let me know. Thanks and have a beautiful day/night. 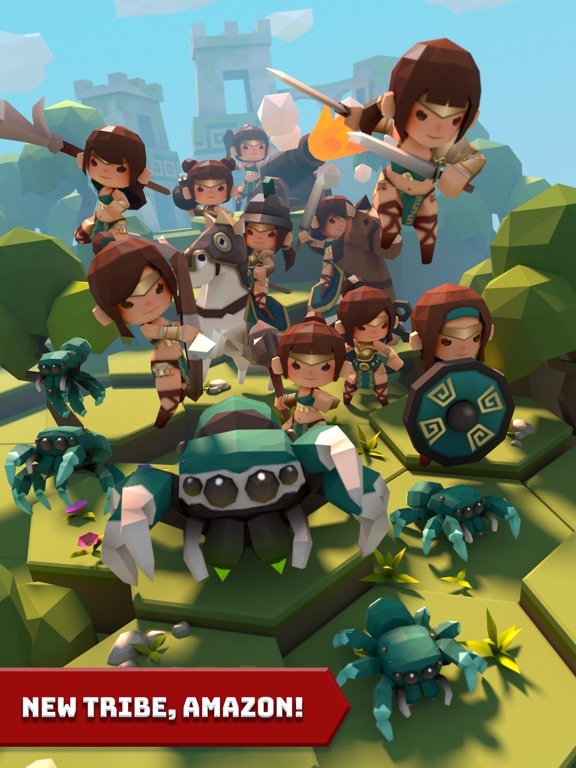 I downloaded this game and have been really enjoying it so far. The visuals are great and it feels really well-polished overall. The difficulty level did seem a bit on the easy side (especially when you're up against a single civilization with only one city), although I only just unlocked the second civilization so it may ramp up as you proceed further into it. In any case, nice job with the game and congrats on the release! It's very true that the whole team got inspired by Polytopia. But I would say, the more you play, you will realize that it's different. 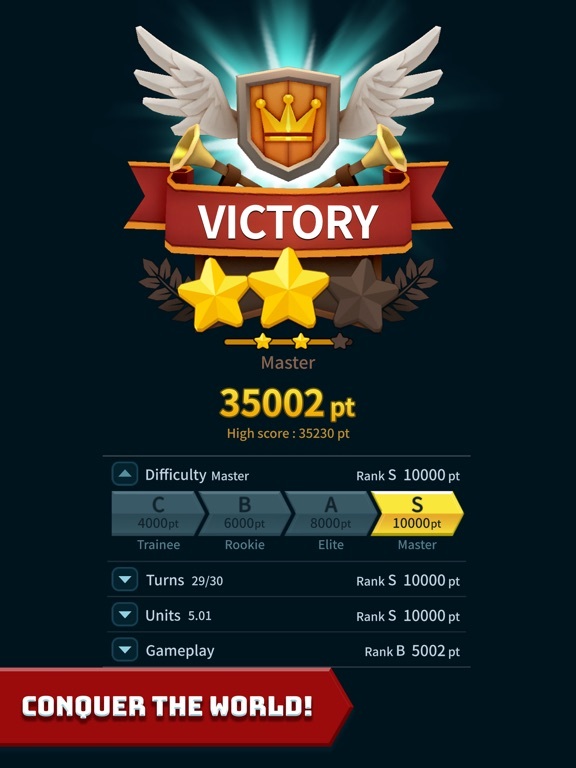 We had a great time to design the new skill tree and AI, which we believe that will vary the gameplay a lot with the expectation that users would like it. Thank you so much. If you have any question or opinion, feel free to let me know. I'm so happy to hear that you like the art style. I'm sure I'll let my artists know that they have a fan. Unfortunately, we're small yet. So I only have a plan to add multiplayer for now. I can promise you that I'll let you know when we confirm to have it in the game mode. Thanks for the nice comment. Yea.. one day I asked my wife to play the test build, then she told me that it's a bit hard to understand/win in the early stage as she's not a simulation/strategy fan. We've tried to improve the informative UI a lot though, I believe that we still can make it better. And much appreciation to the nice and kind comment. Love the artwork and it is lots of fun. Congrats on a nice and polished game! I’ll let my artists and programmers know that they made a good job. Thank you! Does it support save sync between iPhone and iPad? If not, then that would be a useful addition. Love this game so far. Couldn’t get the hang of Polytopia. This is great fun. Played quite a bit and can agree, absolutely inspired by Polytopia. 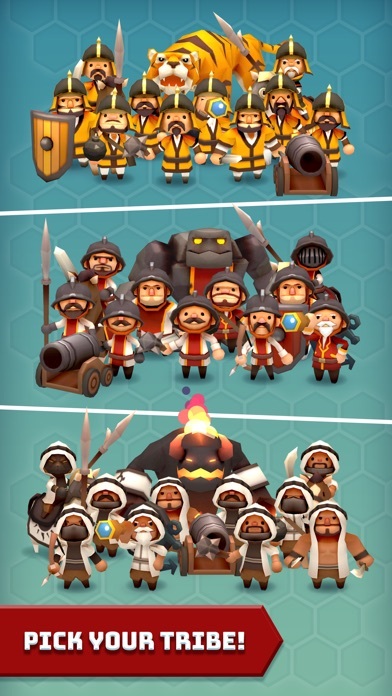 Aside from the great art and animations, what sets this apart is each clans unique super-unit. 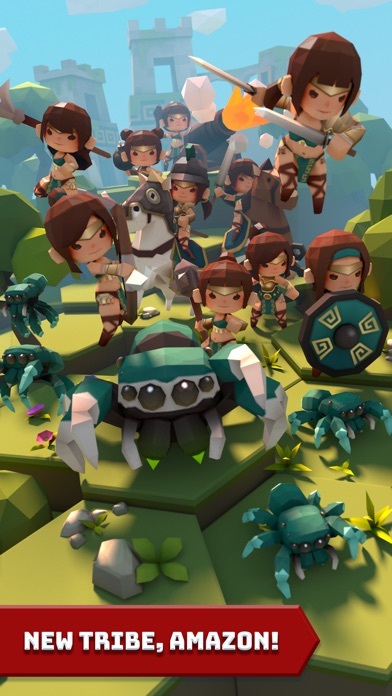 Where the starting clans super-unit is very similar to Polytopias Giant, the others offer different abilities, some fly , some have ranged attacks, some area-effect, etc. 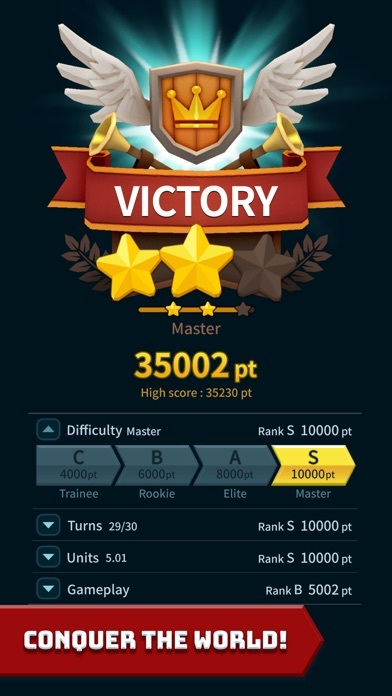 Once you progress into elite difficulty and multiple opponents , the game becomes much more challenging. This game is great and can’t recommend it enough for fans of Polytopia. That's a good point! We've made the game with a very minimal spec. So cloud sync can be the future feature that should be added. And I am so happy to hear that you liked it. Thanks and have a beautiful day/night! I am so happy to hear that you enjoy the game. We're working on more updates and features. I hope you can enjoy them later too. Thanks and have a good day/night! fly , some have ranged attacks, some area-effect, etc. OMG.. you made me and the team really emotional. Yes, we've tried hard to add something different. Especially, my super AI programmer spent many many days and nights to make a smartly-dumb AI. Then they will be challenging around the higher level, as you mentioned. Thanks for the great review. You just made our day!